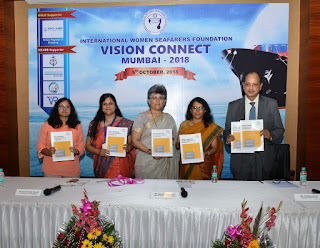 Mumbai, 6th October 2018: The policy guidelines for women seafarers employment made by IWSF was released across the world for the first time ever by DG shipping Dr. Malini V. Shankar, IAS, Director General of Shipping & Secretary to Government of India at “Vision Connect-Mumbai 2018”. The Event was graced by Dr. Malini V. Shankar, IAS, Director General of Shipping & Secretary to Government of India and released the policy guidelines for Women Seafarers Employment. Dr. Sujata Naik Tolani, Chairperson, Tolani Shipping Co. Ltd. And Mr. Suresh Sinha, Managing Director, Indian register of Shipping as guest of honor were part of the release of the Policy guidelines sending a unique message to Maritime Industry and that how for cause of Women seafarers Ship Owner, Regulator and classification society can come together. The guideline is a step to fill the gap in policy, procedures and provide recommendation to support and assist companies to establish gender neutral working environment. The guidelines are segregated as Part A which is the Code which are “strongly recommended and included in company policies and procedures. Part B are the general recommendation. The policy provides guidelines related to hiring and equal opportunity on gender neutral basis, basic onboard facilities, maternity leave and re-joining procedures, gender sensitization, training and creating an eco-friendly system for the women seafarers. It has been almost 3 decades since women has entered in this profession, but till today women seafarer in India have 0.5% Women participation among Total seafarers and that include Cruise shipping Crew. Contribution to the Merchant fleet is again way too less. On seeing Indian seafarers statistics, in year 2017, total 1,54,349 were active seafarers, out of which 810 were women seafarers including hospitality crew. Out of these 810 only 121 are officers and thus % goes further down. As per Indian seafaring data till today total 4548 lady seafarers are there since women started entering this profession where offices have been only 0.0015%. Unlike profession in Software or Medical Field this sector showed minimal growth in terms of Women participation. Still general mass lacks awareness on seafaring profession and involvement of lady seafarers. IWSF during the launch in 2017 had announced baby steps for Placement and bridging policy gaps, towards which IWSF worked on mentoring the girls, General Mass awareness about seafaring profession. IWSF in coordination with MMD Mumbai/GOI have run awareness program at schools. IWSF have supported girls in placement in this difficult job scenarios by connecting them through various companies in network and further developing and polishing their soft skills for the entry level exams. She emphasized on the fact that Placement remains one of biggest challenge as all companies have not opened doors for women seafarers and significant no. of companies are still not prepared to have girls on board. Namely Shipping Corporation of India and Angoleastern ship management has considerable number of women seafarers. 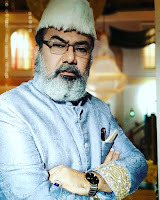 Learnings from all three programs and survey forms filled by industry representative will be collated and draft report copy will be formally shared with all participants at Chennai, Kolkata and Mumbai for their comments. Biggest takeaway of the event is the release of Policy Guidelines for Women seafarers employment by Chief Guest Dr Malini V Shankar. It is interesting to note that we could not find any such guidelines which exist in public domain addressing issues directly related with Women seafarers onboard. Best features of this guidance booklet are the simplicity and precision to deal with core issues. On this occasion, Dr. Malini V. Shankar, IAS, Director General of Shipping & Special Secretary to Government of India said,” I am glad that women seafarers have come together under the roof of IWSF to address the issues of women seafarers. It is less than a year ago the three pioneering women of shipping world has created a history by forming the only body for the betterment of women seafarers all over the globe. There is no substitute to passion and women as seafarers are the classic example of the passionate women of India. This event was attended by Mr. George J Hoyt, IMO maritime ambassador who in his speech emphasized on the IMO theme of 2019 which is dedicated to Women seafarer and advised all young women seafarer to follow their heart and passion to this profession. The event was well appreciated by Maritime Industry and various Industry delegates including representative from Scorpio ship management, Maersk line, Angloeastern shipping , SCI, Bernard Schulte, Torm Shipping, VR maritime, MANET, AMTC, IMU campus , MTI, TMI, K-line, Seven Islands, TORM, OERC, Tolani shipping, Hal offshore, D Amico shipping , OMCI, SeaIndia, Island Flag , Executive ship Management, India ports Global limited, Lloyd register, DNVGL, IR class, FOSMA, MASSA, INSA, NUSI etc.